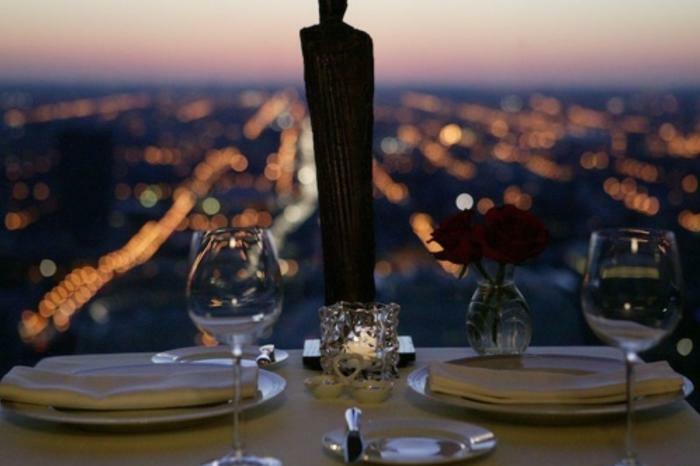 These upscale Chicago restaurants feature private dining rooms for 100+ people. Planning a large party or meeting for 100 people or more? It&apos;s easy to find the perfect event venue in Chicago. Allow one of Chicago&apos;s many diverse dining destinations to host a convenient, easy-to-plan gathering. Located in the heart of The Magnificent Mile at 900 North Michigan Shops, Frankie&apos;s Scaloppine touts a warm, inviting ambiance and a menu showcasing traditional Italian dishes. Book the Scaloppine Room, which can accommodate 180 seated/250 standing, and choose from an array of menu options, including family-style meals, passed hors d&apos;oeuvres, reception packages and bar options. Meanwhile, inside The Magnificent Mile&apos;s Water Tower Place, Mity Nice Bar & Grill offers a modern atmosphere with a family-style group menu packed with contemporary American favorites, such as Maryland crab cakes, pot roast filet mignon and broiled Lake Superior trout, as well as options for passed appetizers and bar packages. Book the private party space for 120 seated/175 standing. On the 40th floor of the Chicago Stock Exchange, Everest offers luxurious private dining in their main dining room that can accommodate up to 140 seated or 200 reception style. With stunning city views and tasting menus composed of world-renowned French food, Everest promises an elevated private dining experience for any occasion. Also inside Water Tower Place, Foodlife offers a casual, urban food hall experience with 14 distinct kitchens serving up everything from fresh sushi to flavorful Mexican food to fall-of-the-bone barbecue. The Green Room accommodates 120 seated/175 standing, and group packages offer fixed price dining at all kiosks, as well as options for passed appetizers, kids menus, dessert and bar packages. For a semi-casual event, Ristorante Quartino Pizzeria & Wine Bar offers an old-school deli ambiance, with wooden furniture, white subway tile accents and a lively meat counter. Book the smaller private areas or rent out the entire place to accommodate up to 120 guests, and choose from multi-course family-style meals or buffets. Your guests will feel transported to the Italian countryside in the charming and rustic Osteria Via Stato, serving up plates made from innovative, seasonally driven ingredients. Choose from seated meals, family-style dishes, grazing stations, passed hors d&apos;oeuvres and a buffet, and book either the semi-private room to accommodate 95 seated/120 standing or the main dining room for 200 seated/250 standing. Iconic elegance is the draw at Gibsons Bar & Steakhouse, where 1940s-style Art Décor sets the scene, and a menu of fresh seafood and choice cuts of USDA Prime Angus beef will satisfy discerning tastes. For large events, book The Rush Room, accommodating 180 seated/300 standing. 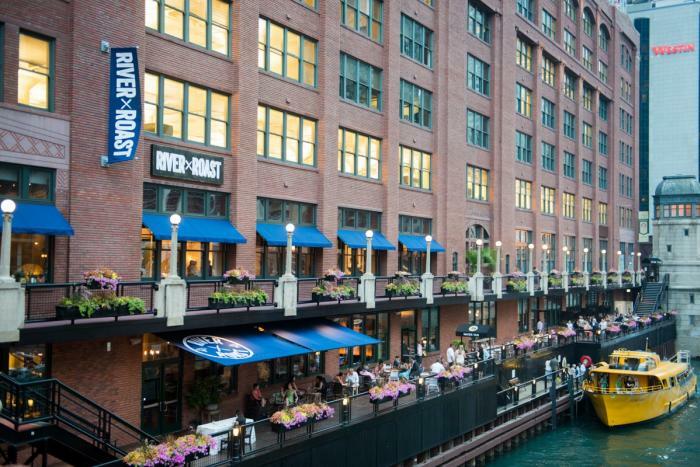 Go for gourmet gastropub fare served up in a historic-meets-contemporary ambiance located right on the Chicago River when you book an event at River Roast. This lively eatery boasts the creative innovation of James Beard Award-winning Chef Tony Mantuano and an array of menu options for private parties. For large events, choose from several event spaces: The Main Dining Room (120 seated/150 standing), The Monarch (230 seated/250 standing) or The Murdoch (330 seated/450 standing). And for a simply spectacular setting, Spiaggia delivers, featuring artful presentations of upscale Italian cuisine and floor-to-ceiling panoramic views of Lake Michigan and The Magnificent Mile. Book the private dining room to host 180 seated/ 250 standing, and start with passed hors d&apos;oeuvres before moving on to a delectable multi-course meal. Top-shelf bar packages are available.